When We Left Earth is a fantastic six-part series by Discovery Channel that features hours of new footage from NASA and interviews with many of those personally involved in the space program over the past 50 years. It tells the story of our journey into space, from the original Mercury program to the Gemini spacewalks, to the breathtaking lunar missions of Apollo… and then beyond to Skylab and the hardworking shuttles that would open Hubble’s eyes to the Universe and ultimately help create the International Space Station. It came out in 2010… if you haven’t seen these yet, I suggest you check them out. Narrated by Gary Sinise, they tell a dramatic story of exploration – both of space and our planet and moon, but also of the people who made it all happen through hard work, talent, guts and not a small amount of sheer luck. Plus the HD footage – especially from the first missions of the 1960s – is really wonderful to watch. The video above (if you don’t see it click here) is from the episode Landing the Eagle, which goes through the Apollo missions, from the tragedy of Apollo 1 to the first orbit of the Moon achieved by Apollo 8 to the landing of Eagle with Apollo 11. Watching this and hearing the astronauts’ first-hand accounts of what they experienced, as well as the concerns of the controllers on the ground – not to mention the astronauts’ wives! – really puts a human perspective on the incredible achievements that were made. If anything, I’d hope that shows like this might inspire a new generation to push the boundaries of what we think we can do and what’s safe and comfortable and by doing so, achieve greater things than are thought possible. Those guys did it, and with a heck of a lot less fancy technology. 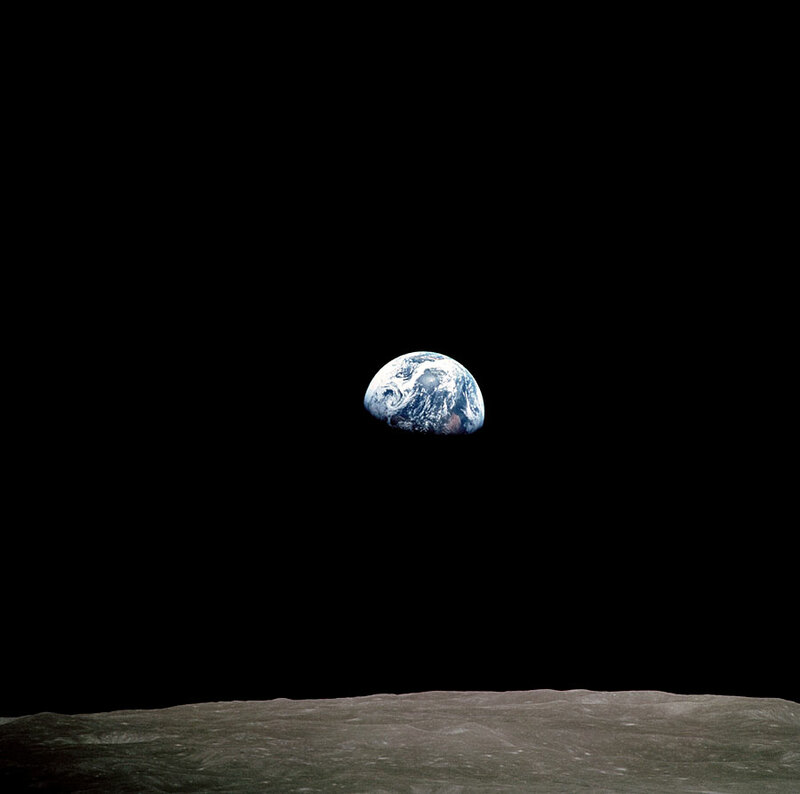 50 years of space flight…in the first ten we went to the Moon. Where will the next 10, 20, 50 take us? And who will be telling stories like this 50 years from now? That’s entirely up to us. Buy the series on DVD or Blu-Ray here. It’s also available on Netflix. Previous Post A Tribute to a Space Station and a Milestone for Opportunity!